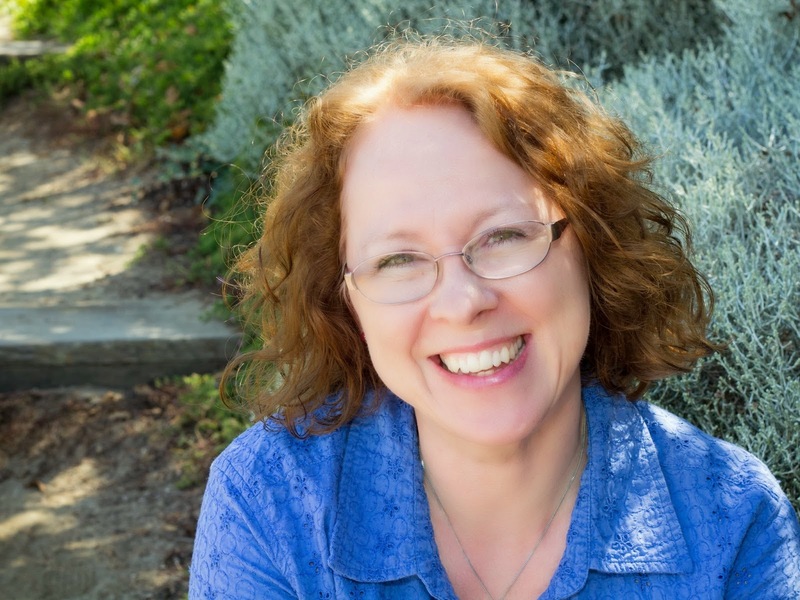 Today's guest post is provided by writer Kitty Bucholtz. We are in the midst of the biggest superhero craze the world has ever known. Superhero movies—mostly based on popular comic books—hit theaters every few months, more often in the summer. Comic book conventions are springing up in every big city and lots of small cities. Advertising for these, and comic books themselves, is increasingly aimed at women as well as men. The erroneous assumption that comics are for young boys is constantly challenged in today’s marketplace. But many people think superheroes are for wimps. They imply that people who want to believe in superheroes are looking for a fast and easy answer to life’s problems. These people are supposedly weak, unintelligent folks who are unwilling to work for a better future, but are looking for someone else to solve their problems. I’m a Johnny-come-lately to the comic book scene, having read my first graphic novel at age 38 after leaving Archie behind as a child. Superheroes, though, have always been appealing to me. Not because I was looking for a savior to make my life better as I sat in front of the TV, but because superheroes have always inspired me to keep trying. While my favorite graphic novel is Kingdom Come by the wonderful Mark Waid (whom I met at WonderCon this year—shriek! ), my favorite superhero is Spider-Man. 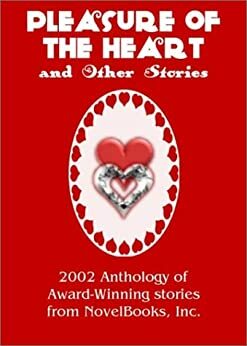 The versions of his story that I’ve read are about a down-to-earth boy-next-door who tries to make sense of a crazy accident. 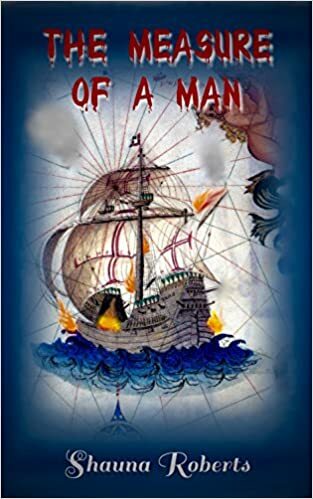 In a believably human way, he first uses his new power for himself, hiding what he can do from others. But before long, he learns to use his power for the good of those around him. Spider-Man can’t save everyone, but that doesn’t stop him from trying to help whom he can. And he does so with a sense of humor, not taking himself too seriously. That is what I look for in superheroes. I want more role models to help me keep trying to do what I can, whenever I can. I want reminders that I can be more than I first believed. After reading Kingdom Come a few years ago, I had the idea to write superhero books for women. I wanted to write about women who came to realize they have more power than they thought. These women fight for what’s right, fight for their families, and fight to hold onto love when all seems lost. They’re strong and courageous, even though they get knocked down and beaten up. These are the kind of women I want to be, the kind of women I want to encourage others to be. The world needs more superheroes—and any number of them could be your neighbors, your friends. You could be a superhero to someone nearby. So why not look to fictional examples to encourage us to become our best selves? As for me, I’m going to keep writing superhero books for women. I’m going to keep encouraging my friends, my neighbors, myself that we all have more power than we realize. Thank you, Kitty, for visiting and sharing your thoughts on how superheroes can motivate us. 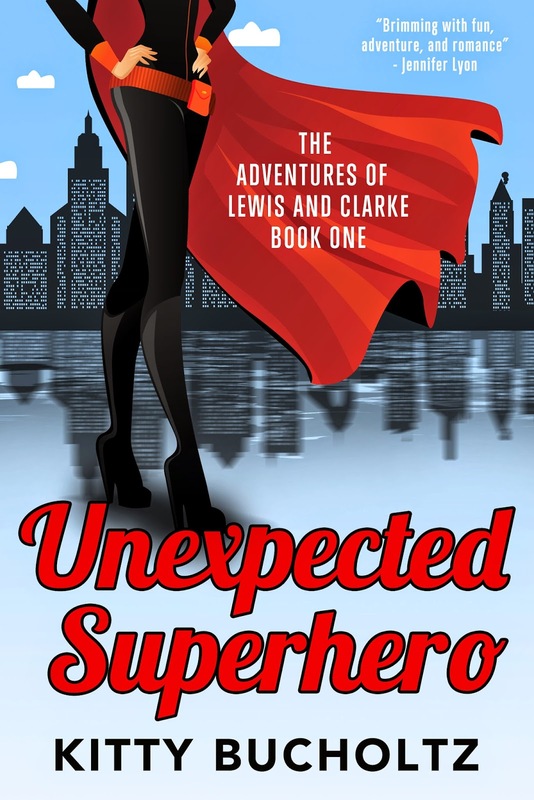 Kitty’s book Unexpected Superhero, book one in the Adventures of Lewis and Clarke series, is a free Kindle ebook on Amazon from October 8 to 10 and 17 to 18. The short story prequel, “Superhero in Disguise,” is always free wherever ebooks are sold. Kitty Bucholtz grew up forty miles east of Traverse City, Michigan, the pretend setting of Unexpected Superhero. She met and married the love of her life there and waved goodbye to everything she knew when she and her husband, John, struck out for parts unknown. Their adventures included going back to school, changing careers, and traveling Down Under. Kitty now writes wherever John is working on a film. They spent a few years in Sydney, Australia, where Kitty earned her Master of Arts in Creative Writing degree from University of Technology, Sydney. You can find Unexpected Superhero at Amazon at http://www.amazon.com/dp/B00D4FOLHQ/.